Identity is verified based on matching the details uploaded by the Tutor with government databases. 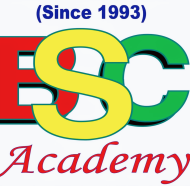 BSC Academy found in 1993, 42 branches all over India. In Bangalore we operate from 1st block Rajajinagar. Success story - BSC Academy has produced more than 1,75,000 students Bank PO/Clerk & SSC. We provide Incomparable Study Material, Devoted Faculty, Best Results, Individual Attention, online test, off line test. We provide coaching classes for Banking PO/Clerk, SSC, Railway, KPSC- FDA,SDA,PDO,PSI,ESI. Weekend?- Sat & Sun : 10am to 5pm. Is this listing inaccurate or duplicate? Any other problem? Please tell us about the problem and we will fix it. Please describe the problem that you see in this page. BSC Academy conducts classes in IBPS Exam Coaching, Investment Banking Training and Railway Exam. It is located in Mahalakshmipuram Layout, Bangalore. It takes Regular Classes- at the Institute. Please enter a pincode or area name. Let us shortlist and give the best tutors and institutes. Your reply has been successfully submitted.